Since 1947, LCM has began her manufacture carrer that build effieient Hot Forging Press, Hot Press and Cold Press. Every ten year, we could make huge progress develop new kind of Hot Forging Press. Our hot press and cold press are quailfied by ISO 9002 and ISO 9001. Hot forging press is one of the metal pressure processing methods. It means using pressure to change metal material shape that to achieve the requirement of processing craft. According to the temperature, forging press is often classified into three performed sections: “cold”, “warm” and “hot forging”, and therefore it is usually used to manufacture large industrial parts in the industry. LCM is press and press maker who offering many types designed of forging press to support your special-purpose applications that require extrusion, sizing, draw and ironing, calibrating, coining and trimming. Such a great advancement has received wide recognition from the forging industry; additionally, the highest quality Hot Forging Press, Forming Press, Metal Forming Press, High Speed Press, Mechanical Press, Cold Press, and Cold Forging Press have also gained customers’ trust. We update users with the latest and the best technology and service. Furthermore, we also provide new value and cold press and cold forging press machines with unlimited potential for our customers. 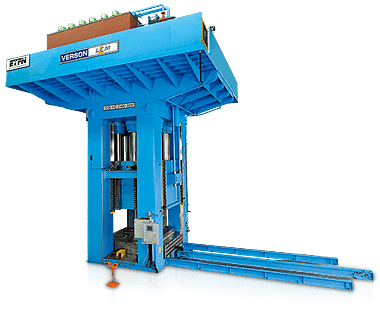 If you are searching the best forging press machinery, please contact us.